A classic, sentimental old-timer, very popular soap. Lavender is delicate, elegant and very feminine. Comfrey contains natural self-proliferate allantoin, an anti-inflammatory remedy for wound healing and for soothing and rejuvenating dry, sore, scarred and wrinkled skin. 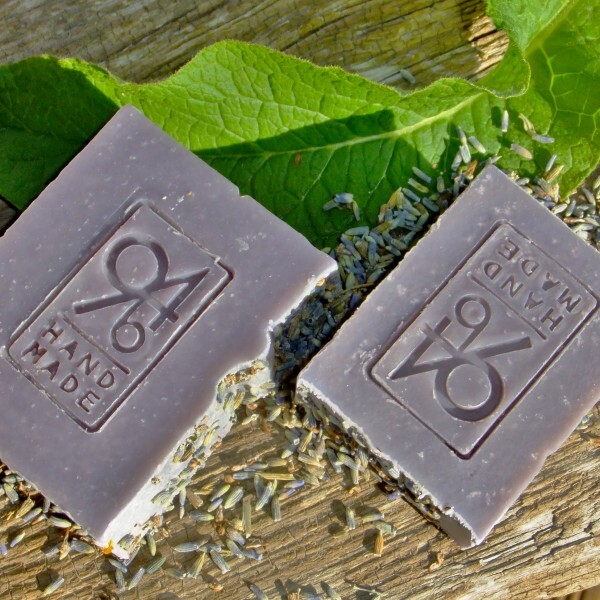 With the essential oil of French and Italian lavender. Not much is needed to feel fresh and well. Throughout history lavender has been used medicinally to soothe, sedate and suppress. It is an excellent remedy for burns and stings, and its strong antibacterial action helps to heal cuts. Add 6 drops to bath water to calm irritable children and help them sleep. Place 1 drop on the temple for a headache relief. Dry flowers make a good moth repellent.